I did Wuhan last year with my wife — and we were there for the first time in 2011. 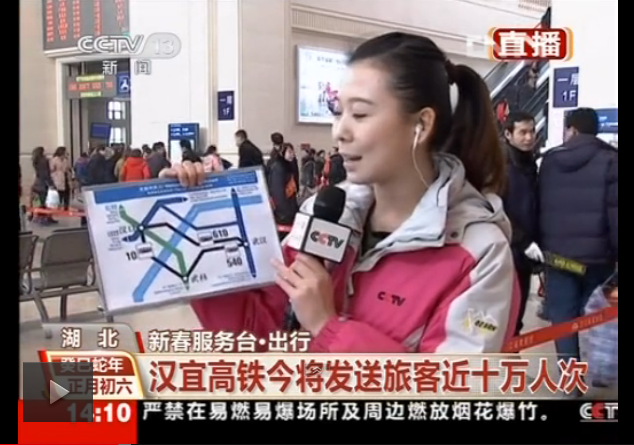 In the past years, we’ve done all of Wuhan’s three rail hubs. On Weibo, one of my friends reported of an alarming number of visitors who got the names and places of Wuhan’s three rail hubs wrong — Wuhan, Wuchang and Hankou. By bus, these guys are over an hour apart from one another — so you won’t want to hit the wrong station — especially if time’s killing you! The pic you’re seeing is the version CCTV re-edited for a mainly Chinese audience. You’re seeing the works below — I did this in Pages while I was waiting for my wife’s best friend to spawn. (It’s a she.) The baby took forever, so the map was born earlier. I’ve done over 170,000 km on the rails worldwide — and I look set to hitting 100,000 km for China around this year or so. 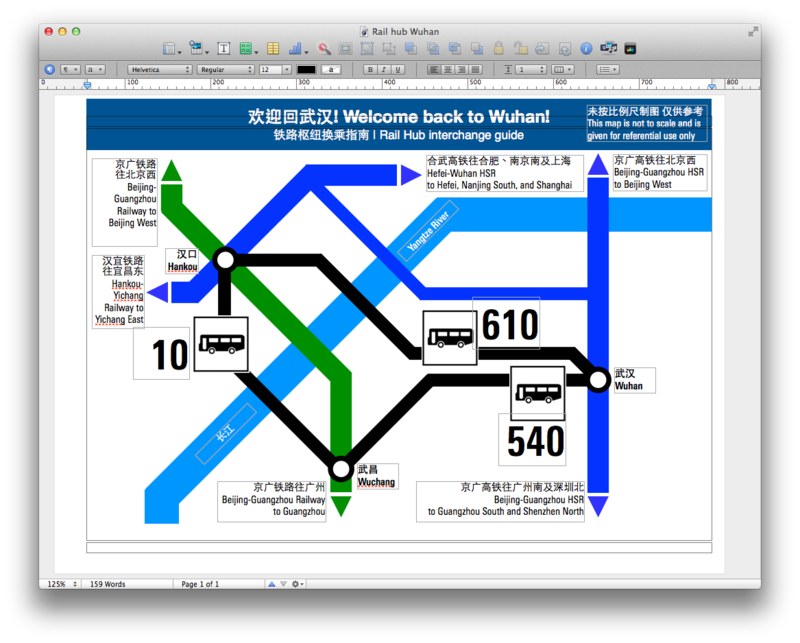 I’ve two things I love to do for our rails: create Swiss-ish looking maps and cleaning up the Chinglish. So what do you do when you can’t teach for two months (holidays be “thanked”)? You help the rails perfect their Chinglish. Oh and get their maps up in order.